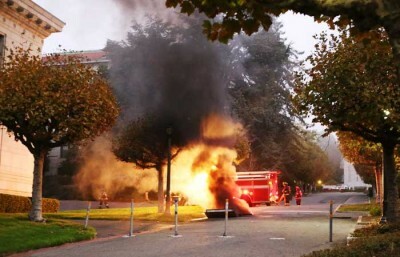 Power was fully restored to all buildings on the UC Berkeley campus as of Friday morning after a Sept. 30 explosion near California Hall damaged underground power lines and left 11 buildings unable to connect to the campus’s power grid. Most of the 11 buildings without power were connected to portable generators rented by the campus in the days after the explosion and were reconnected to the main power grid between Tuesday night and early Friday morning. The process of switching from the backup generators to the campus power grid left those buildings without power for up to six hours, said Christine Shaff, communications director for the campus’s facilities services department. One student was hospitalized in the explosion, which forced a campuswide evacuation and caused the campus to declare a state of emergency. The explosion occurred after a power outage campus officials attributed to damage from theft of copper wiring at an off-campus electrical facility. Power was restored to all but 11 buildings on campus the next day. 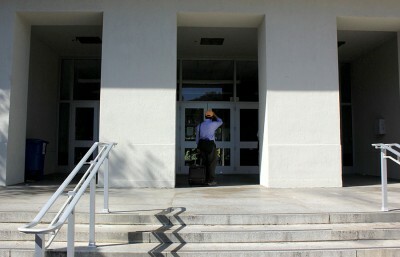 Dwinelle Hall was brought back onto the campus power grid Tuesday night. Three locations that had been without power since the explosion — Edwards Track, the campus cogeneration plant and Environmental Health and Safety — were restored Wednesday. California Hall, Durant Hall and the Bancroft and Doe libraries were connected to the power grid Wednesday night. Haas Pavilion, Dwinelle Annex and the Alumni House were connected by early Friday morning. According to Shaff, the delay in restoration occurred because maintenance workers and a “high-voltage team” needed time to assess the damage from the explosion, remove damaged equipment and test power lines to make sure they were safe. On Oct. 1, maintenance crews removed a damaged switchboard at the site of the explosion. Switchboards allow crews to switch between two lines of the campus power grid. With the two-line system, power can be delivered to buildings when only one line is operational, allowing crews to conduct maintenance without disrupting the flow of power. 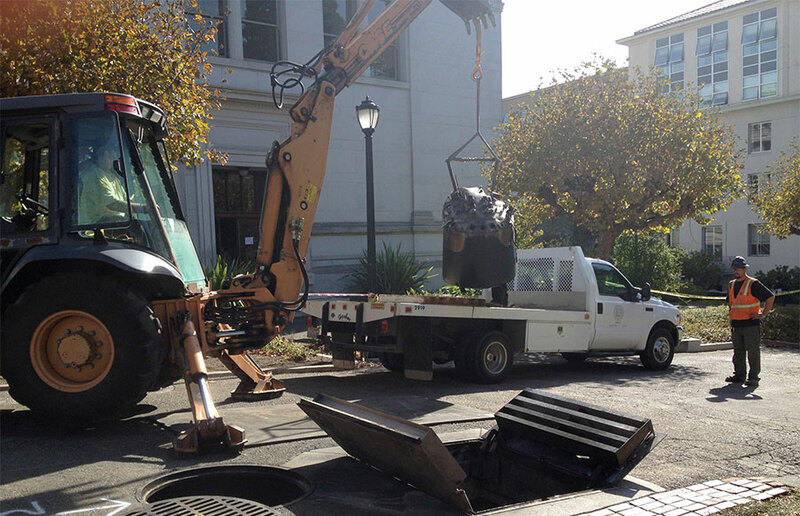 According to Skip Ray, an accounts manager at Peterson Power, the company leased seven generators of five different sizes to UC Berkeley, ranging from 150 to 800 kilowatts. Generators can cost between a “couple hundred” to a “few thousand” dollars a day, Ray said. Chris Yoder covers crime. Contact him at [email protected] and follow him on Twitter @christiancyoder.